This report is the first in a series of reports on regional experiences with quota implementation. It provides information about the use of gender quotas as an instrument to increase women’s political representation in Asia, and to show that they can and are being applied successfully. The report includes case studies from India, East Timor, Pakistan, Bangladesh and Indonesia. 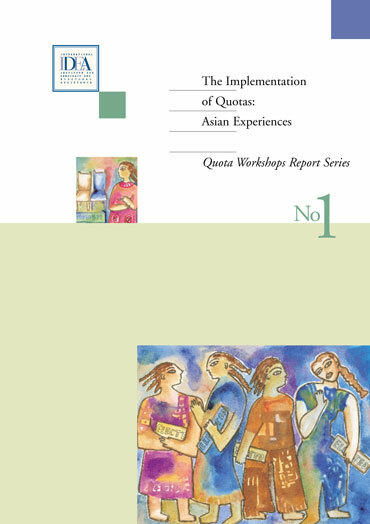 The report series addresses key issues such as the type of quotas in use in some parts of Asia (including legislated and political party quotas); when, where and how quotas have worked; the challenges of implementation and enforcement; and the consequences of the use of quotas. Database Home A joint project of International IDEA, Inter-Parliamentary Union and Stockholm University, the Global Database of Gender Quotas in parliaments worldwide.